Yesterday’s discussion by CPSC’s Commissioners of third party testing requirements for rugs and carpets proved to be an excellent example of regulation merely for the sake of regulation. (The webcast can be viewed here. Click on the Commission Meeting of July 7, 2010) At one point I asked my colleagues “Where is the logic?” The answer was swept under the rug. Let me recap the issue for you. Longstanding CPSC regulations require that carpets and rugs either meet our flammability standards or, as an alternative, small rugs can be labeled as “flammable.” Carpet manufacturers have established internal production testing procedures to assure compliance and those procedures have been working well. While our regulations do not distinguish between children’s rugs and other rugs, my colleagues believe that CPSIA requires that ‘youth rugs’ (whatever they are) be tested, not by the manufacturer, but by an independent third party lab. On a process level, we have not yet issued a final rule defining what is a child’s product. How are rug manufacturers to know if third party testing is required? Since rugs made 90 days after the accreditation requirements are issued need to be third party tested, it is important that manufacturers know whether their products are covered. Requiring testing before we have issued a definition is not responsible regulating but it is sweeping logic under the rug. On a substantive level, what is a child’s rug? Our proposed regulations are not very clear on this point: a pink or blue carpet in a child’s room is not necessarily a child’s rug; a cartoon character woven into it rather than a stripe may or may not turn the rug into a child’s product (even though there is no difference in the rug’s flammability characteristics); if the rug has a puzzle on it inviting play, then it might be a child’s rug (or perhaps a toy) However, I recently bought a small area rug for my family room with a checkerboard pattern woven into it, with checker pieces included. With no small children at home, I didn’t think that I got a child’s product. Did I? Third party testing for youth rugs may perversely impede safety. Our regulations require either testing to the standard or manufacturers of small area rugs have the option of labeling that the rug does not meet the standard and hence may be flammable. 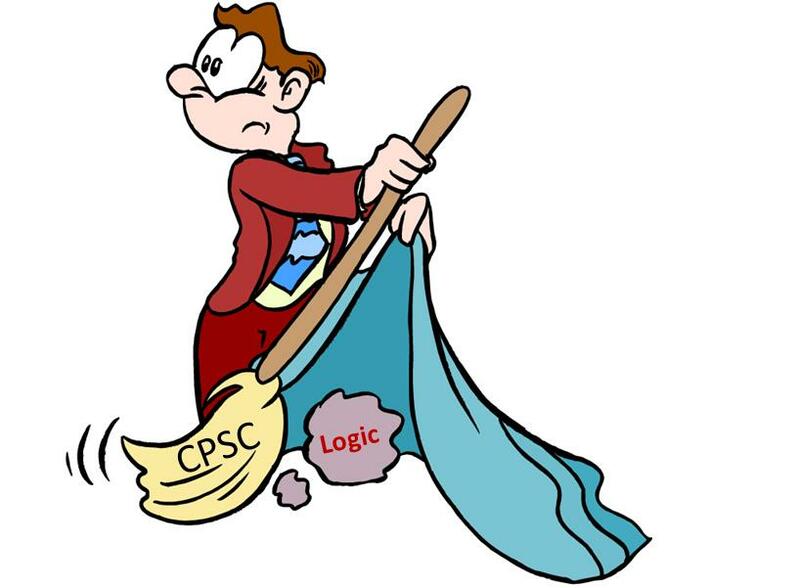 Assuming that even the CPSIA does not mandate the ridiculous extreme of requiring third party testing to determine the presence of a label saying that a product does not comply (still an open question), then the costs or burdens of such testing could encourage a manufacturer to abandon testing and instead put on a flammability label. Where is the consumer safety interest here? Again, logic is swept under the rug. We should use what little flexibility we have in the CPSIA to roll out this law in a way that maximizes safety yet minimizes chaos, and not just implement for the sake of implementation. Safety doesn’t say this has to be done right now, and done this way, so why are we? Even looking under the rug won’t get you that answer. Read more about this in my statement. Who are these people and what planet are they from?? Do they just sit around some campfire somewhere and just say among themselves, hey what can we screw up tomorrow? Sometimes it not nice to call people out but, there comes a time when they should be put on parade for stupidity. Enough is enough. Lets put a stop to the garbage now and get this legislation off the books and come back with a better law. Sounds like these commissioners are on a power trip and need reined in. WE THE PEOPLE are tired of this. More and more, I really believe that mainly morons are sent to DC. A voice of sanity is so welcome, but so overwhelmed with the shouts of the idiots.